How would you like to expand your network? Would you like more prospects, additional income and additional speaking or joint venture opportunities? I thought so! Me too! Networking Savvy is a 30-Day push, a structured program that will support you in focusing on networking and connecting, which will result in new relationships and expanded opportunities. What we focus on expands, right? And what we focus on, we get. Let’s all grow our networks together and end 2018 with power and velocity. Amazing accomplishments occur when we focus intently for a small period of time. Educational materials, i.e. templates, how to’s. Private Facebook Forum to connect, share, and celebrate. Access to a Members Only area to access all your recordings, downloads, resources, etc. Have a clear and compelling one- minute and 30 sec. introduction. Develop a process to capture contacts and begin nurturing leads. Save time and money on your networking efforts. Convert contacts to fans, and move them to prospects and potential clients, just by using my proven methods. Develop your “know-like-trust factor” … for real! Add 100+ people to your list. Ready to Become a Savvy Networker? Prescription: Marie Fratoni's "Networking Savvy" Program. Take 2 times per week for 4 weeks, participate actively in the assignments, then apply knowledge for complete cure. Warning: You just might find yourself enjoying networking and seeing your business grow! Feel free to choose between the two, edit, or eliminate! " "The art of making a great first impression, delivering memorable value, and establishing impactful connections: that's the magic Marie Fratoni coaches and facilitates in Networking Savvy. The real power of this 30-day experience is that Marie teaches and participants learn while simultaneously engaging in the very network building she's coaching. I ended Networking Savvy with new skills, sharper clarity, and new connections who are already making a positive impact on my business." "I am so grateful for Marie’s help–her tips, guidance and support around networking have made a huge difference to my success in filling my first weekend retreat! I’m new to marketing programs, and it’s been a huge challenge until now. She helped me break through some of the last barriers and really get out there. Our regular calls have kept me going and helped each encounter be more effective and truly enjoyable! Looking back over the last 6 weeks, I’m simply amazed that I could do it all. Thank you Marie!" "If you’re like me, when you hear the word “networking”, you cringe. It may conjure up images of past networking events that felt awkward or that seemed very forced and inauthentic. Marie’s 30 Day Networking Savvy program allowed me to re-frame my relationship with networking from something that was uncomfortable and unpleasant to something that is easy, natural and effective in producing results…. Marie’s program is practical and on the court, where you will set your own intentions each week and take small steps consistently over 4 weeks that will add up to real life tangible results and increased confidence in having conversations that can make a difference for you, your business and others. If you need to do something different to start building momentum in your business, I’d highly recommend training yourself to become a Savvy Networker with Marie Fratoni’s program. "Before participating in Marie Fratoni’s Networking Savvy, I raced to lots of events without setting intentions and would return with a pile of business cards. I really never connected or followed up with the leads. After applying Marie’s strategies, I set my “Be, Do, Have” intentions weekly; my networking skills improved and new relationships developed that enhance my personal life and business." Marie Fratoni, M.Ed is a powerful champion of women. As the CEO of Get Clients Everywhere, Marie works globally to help entrepreneurs get more clients, make more money, and live a life of freedom, joy and self-expression. She coaches business owners and professionals to become savvy, social, and successful through cultivating professional relationships that are both fulfilling and profitable. She provides impactful sales development strategies, transformational coaching, and growth-filled seminars that are fun, dynamic and valuable. 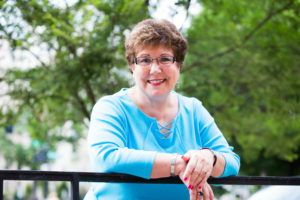 She is the Founder and Leader of the Women’s Professional Development Network in Atlanta, and is a frequent Keynote Speaker for organizations and associations. Her extensive corporate consulting experience, coupled with her thirty years as an entrepreneur provides the perfect formula for success. She is a major connector, the Queen of Networking, and leads annual professional retreats in Italy.